This is one of the most loved breakfast place, in Treasure Beach, St. Elizabeth! Many tourists claim that ‘Dawn’s roasted coffee’ is to die for. The sumptuous food will not only have you coming back, but so will the experience, the atmosphere! The mix of locals and tourists is harmonious as they all anticipate their meals to be served. Enjoy options of traditional ackee and saltfish, mackerel rundown, callaloo omelette, the Smurfs omelette, pancake, bacon, eggs, hash brown or French toast! Anything breakfast, Smurfs Café has it and even more! Want a delicious lunch with a spectacular view? Jack Sprat Seafood and Pizza is the place you need to be! An outdoor setting with the wind in your hair and exceptional food.. Their signature dish is pizza and a close second is their conch soup! Often sited as a great place to watch the sunset, it can make for a spectacular evening dinner or night out with friends! It’s located right on the beach, so make a day of it. Excite your taste buds with their Jerk chicken pizza, the crab cakes, shrimp and a sweet treat of ice cream, a favourite as well. Enjoy the scene, the beach and the food at Jack Sprat Seafood and Pizza. We see you talking about a great bar to chill on land, and we raise you a phenomenal bar, in the ocean! That’s right! Floyd’s Pelican Bar is a boat ride off the Treasure Beach Shore about 400 metres. The unique structure of the Bar is world famous, and the endless stream of Red Stripe & rum punch will keep you going and coming back. 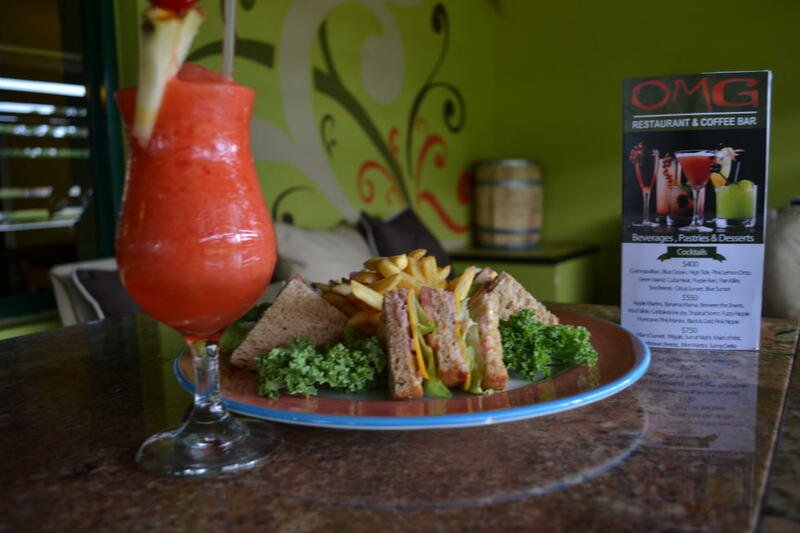 The reggae music is played all day round, with refreshing drinks for all. Here you can enjoy a menu of grilled fish and other in season seafood. Want a great night out with your friends and a chance to embarrass them with karaoke? Look no further! With an exquisite and rustic charm, this outdoor experience is a must visit if you’re in the May Pen area. Chat and lyme at the bar and sing and dance the night away with Karaoke. Perfect for lunch or dinner. Vegetarian options are also available! Just ask the friendly staff and it’ll be sorted right out! Your taste buds will thank you for all the options: soups, salads, lobster tail, conch soup, garlic butter shrimp and other seafood fanfare for your delight!